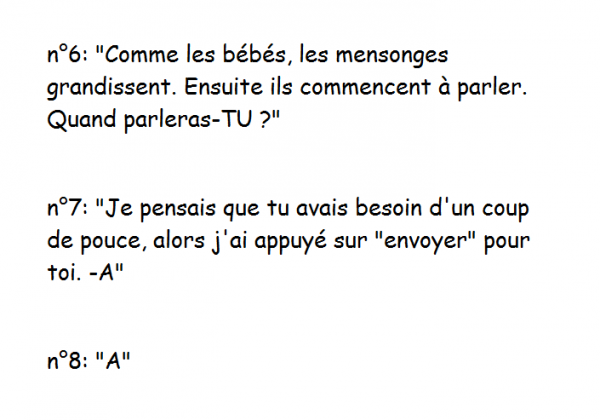 ALORS, S'IL VOUS PLAIT JE N'AIMERAIS PAS ETRE PLAGIER !! 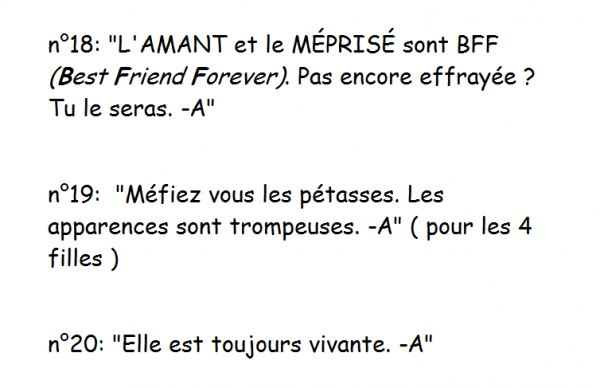 COUCOU :) DONC JE VOUDRAIS VOUS DEMANDER DE RESPECTER MON TRAVAIL CAR: - J'AI CHERCHER TOUTES LES IMAGES DES MESSAGES DE -A - J'AI FAIT 2 MONTAGES, 10 MESSAGES PAR MONTAGES - J'AI NUMEROTER CHAQUE IMAGE - J'AI MOI MEME TRADUIT LES MESSAGES - ENSUITE J4AI FAIT DES CAPTURES D'ECRAN ET JE LES AIS MISE LA POUR QUE VOUS VOYEZ MIEUX ALORS, S'IL VOUS PLAIT JE N'AIMERAIS PAS ETRE PLAGIER !! 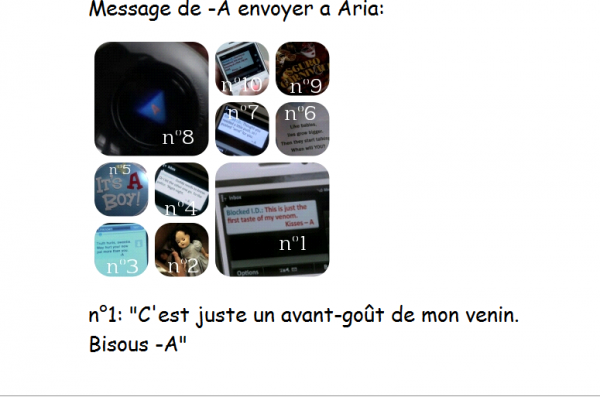 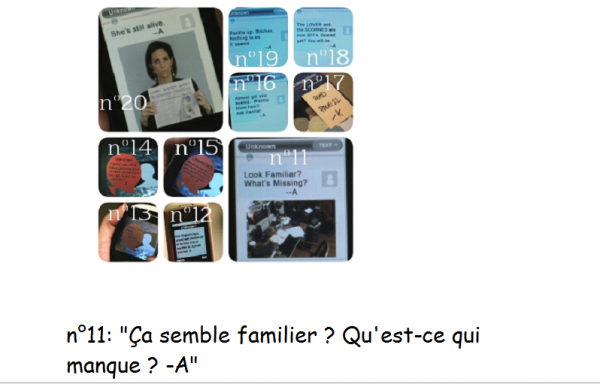 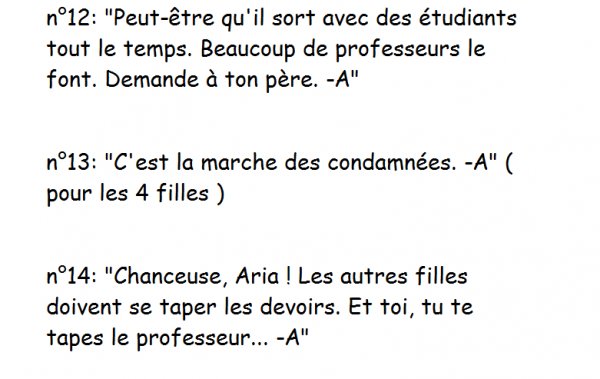 message de -A, Pretty little liars, A team, blog, pll, Actus, Aria Montgomery.